After Ian Fleming passed away in 1964, Glidrose Productions (now 'Ian Fleming Publications') planned a series of James Bond continuation novels by several authors to be published under the pseudonym of Robert Markham. Celebrated South African novelist Geoffrey Jenkins was commissioned to pen an original 007 novel by Glidrose in 1966. Jenkins and Fleming first met when they both worked for Kemsley Newspapers, an organisation owned by the London Sunday Times, by Viscount Kemsley. Jenkins had a job in the Foreign Department under Fleming, who was the Foreign Manager. The pair quickly became friends. 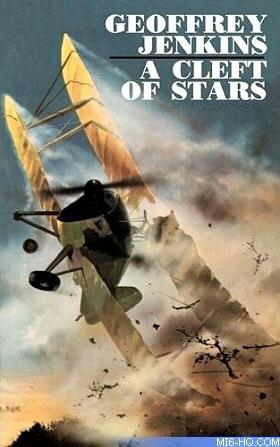 In the late 1950's, Jenkins had discussed the idea of a James Bond novel set in South Africa with Fleming, and even written a synopsis of it, which Fleming had very much liked. Fleming had said he would come to South Africa to research the book, but he died before this happened. This was revealed in a letter to John Pearson in 1965 when he was researching his biography on Ian Fleming, The Life of Ian Fleming. Pearson was understandably excited by this revelation, and even more so when he found Jenkins' Bond synopsis in Fleming's papers. This coincided with Glidrose considering the idea of asking other authors to continue writing James Bond novels, a notion that Fleming's wife, Ann, was against, but his brother, Peter Fleming, who at the time was Glidrose's director, favoured. In November 1965, Jenkins met with his friend Harry Saltzman, co-producer of the James Bond films at the time, and Charles Tyrell from Glidrose to discuss the possibility of his making his South African synopsis into the first James Bond 'continuation' novel. Negotiations were protracted, but Jenkins was formally granted permission to write the book on May 12, 1966; a contract was drawn up on August 24, 1966, which stated that Jenkins would be entitled to a percentage of profits in any film made from the novel, but not from any related merchandise that might come about. The title is understood to derive from a measurement of gold: a 'fine ounce' is a Troy ounce of not quite pure gold. Jenkins' synopsis found by John Pearson in Fleming's papers featured gold bicycle chains, baobab tree coffins and the magical Lake Fundudzi - presumably, Jenkins used some or all of these elements in the book itself. A few draft pages of the manuscript were discovered in 2005, in which we learn that the Double-O Section has been closed down and James Bond defies M on a matter of principle, resigning from MI6 to pursue his mission in South Africa alone. Despite such promising-sounding material, and the fact that Jenkins was a best-selling thriller writer in the Fleming mould, had been a friend and colleague of Fleming's and had apparently had his blessing and input for the project, Glidrose rejected Jenkins' submitted manuscript. Peter Janson-Smith later recalled that he thought it was badly written, although he admitted that Glidrose may have been "stricter in those days." Jenkins' contract with Glidrose gave him a licence to re-use the material in the novel in the event of its rejection, with the proviso that he could not use any of Fleming's characters. Jenkins may have done this: his 1973 novel 'A Cleft Of Stars', while not containing any rogue British secret agents, is set in almost precisely the same area of South Africa, involves diamonds and gold, and the hero temporarily hides himself in a baobab tree. With Jenkins' novel rejected, Kingsley Amis became the first official continuation author with 'Colonel Sun' in 1968. In the mid-1970s Amis lobbied for EON Productions to produce a film based upon his book. Reportedly he was told that Saltzman had forbidden that any film be made based on 'Colonel Sun' due to Glidrose refusing to publish 'Per Fine Ounce' a decade earlier. To this date, no 007 continuation author has seen their novel adapted to the silver screen. Above: Bond girl Honor Blackman in the 1968 adaptation of Jenkins' novel "A Twist of Sand"
Geoffrey Jenkins died aged 91 on November 7th, 2001 in Durban, South Africa. 'Per Fine Ounce' is believed lost, except for 18 pages now in the hands of Jenkins' son David. Jenkins' literary agent Ronald Payne has graciously given MI6 readers the chance to read two pages from the remaining manuscript. Click here to read online.